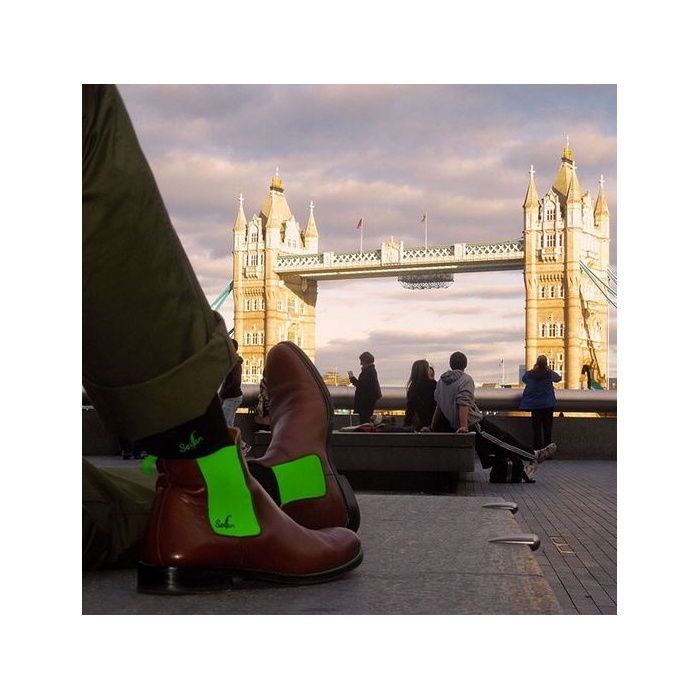 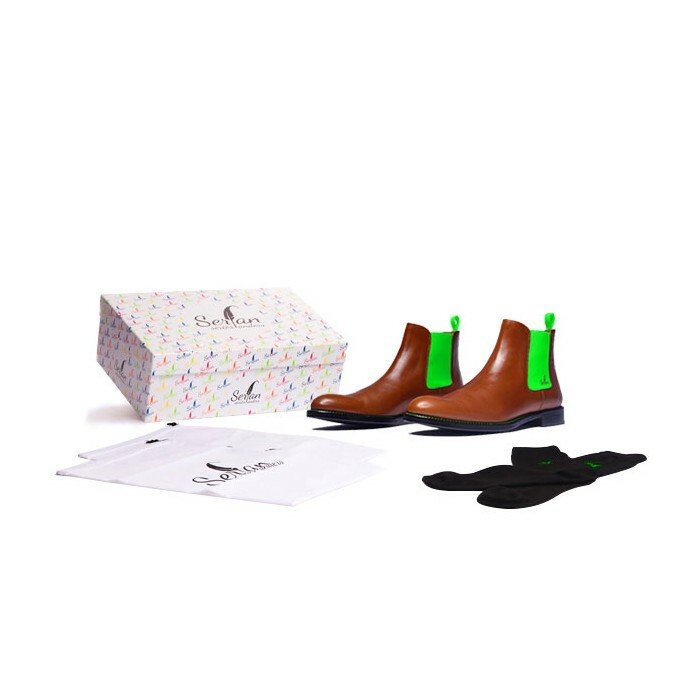 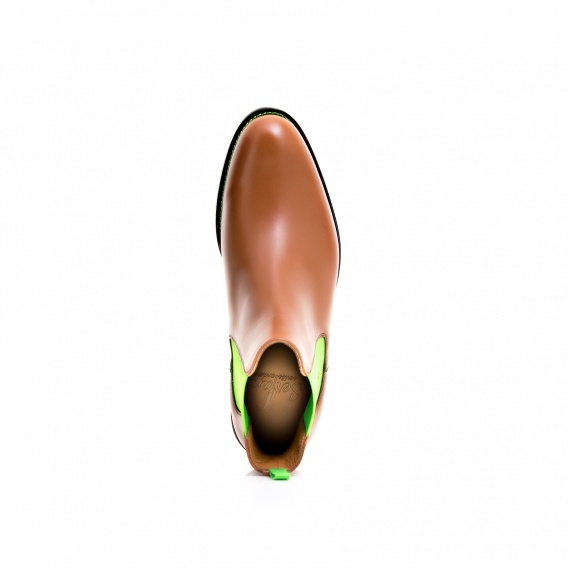 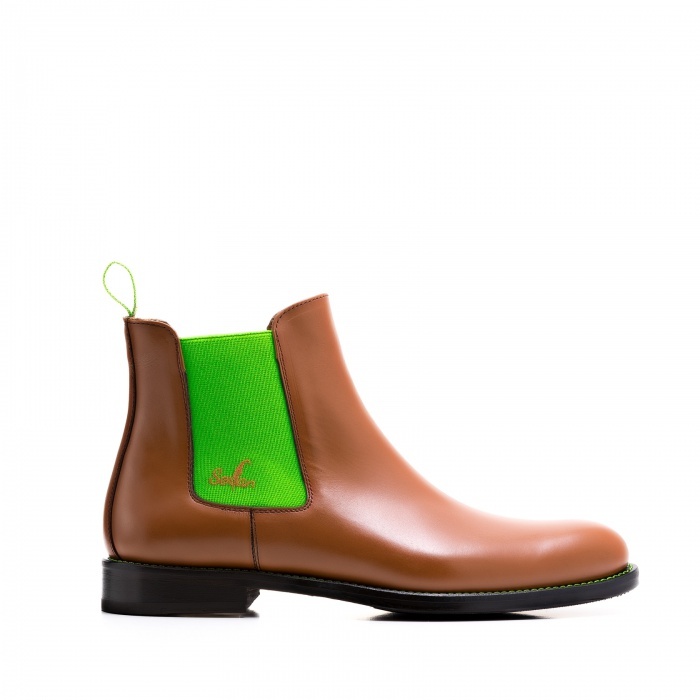 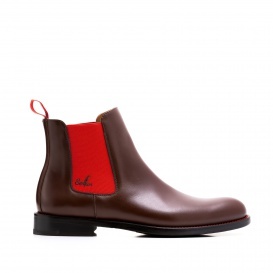 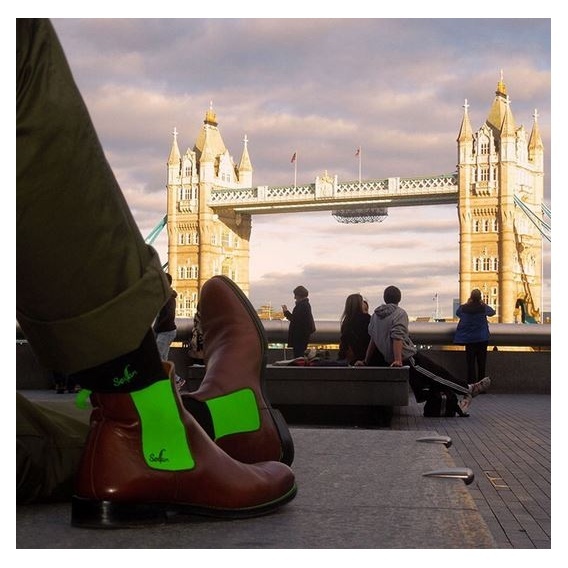 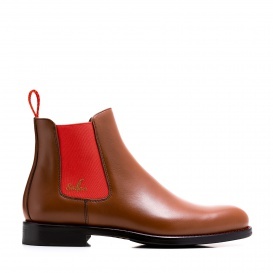 The cognac green Chelsea Boot is a perfect companion for business and everyday life. 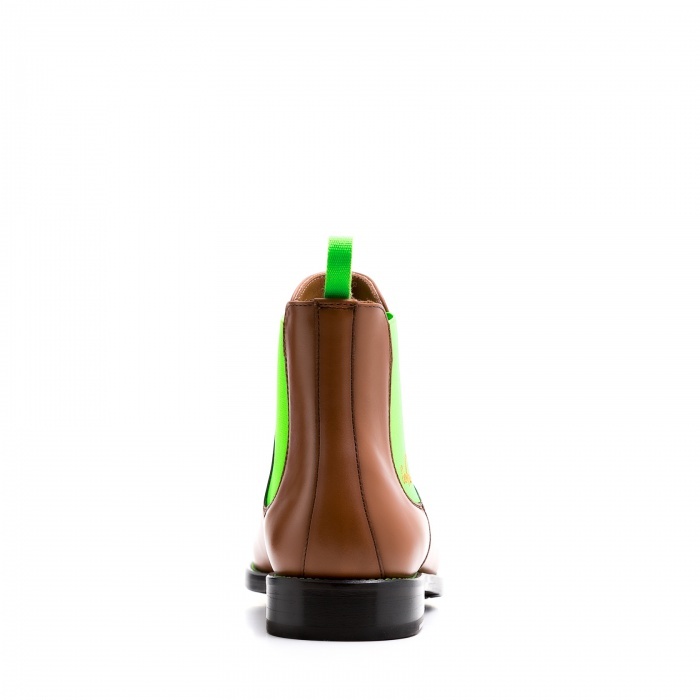 The characteristic green elastic bands provide a perfect fit. 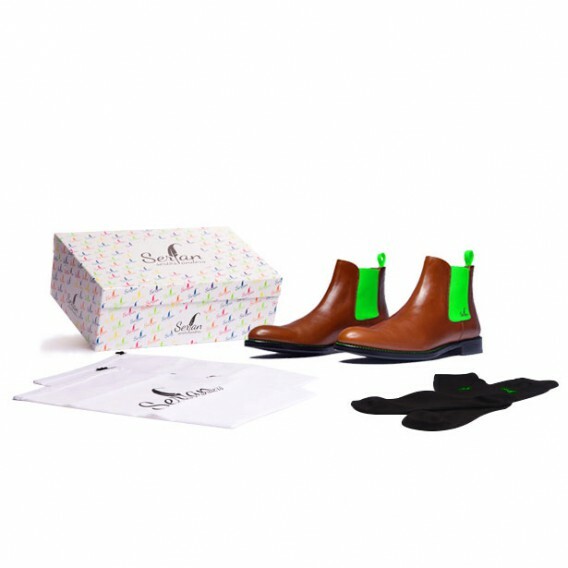 The unique design element will draw a lot of positive attention to you. 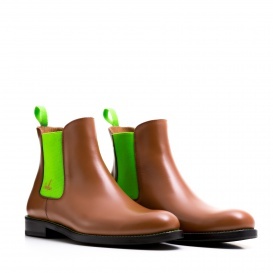 The trend colour green is very energizing and keeps you in good mood during day and night. 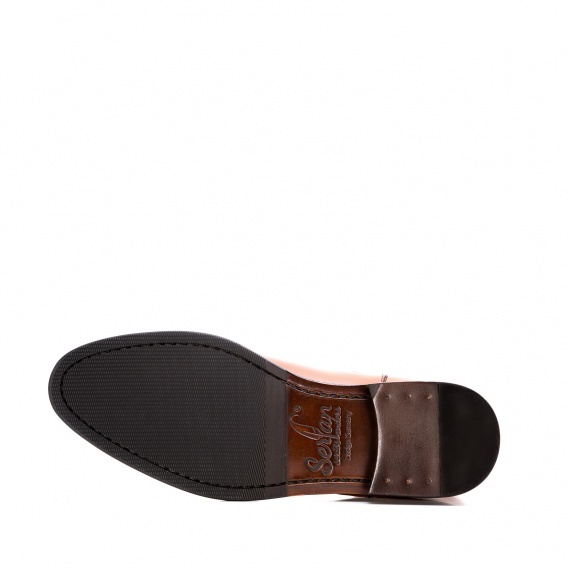 A good fit and high wearing comfort are guaranteed thanks to the elastic bands. 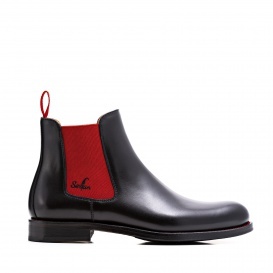 In combination with a black jeans and a buttoned shirt every pavement becomes your personal catwalk.